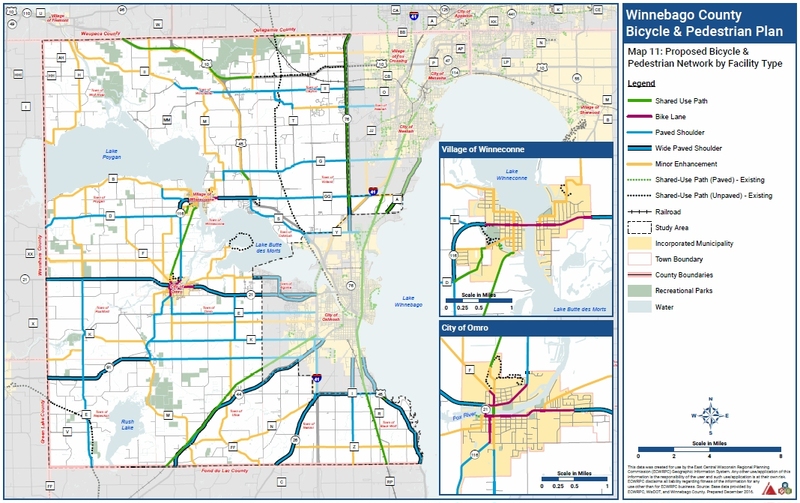 In mid-2014 re:TH!NK received a planning grant from the WI Department of Transportation (WISDOT) Transportation Alternatives Program to create a bicycle and pedestrian plan for the rural areas of Winnebago County. The project was lead by Winnebago County Health, Highway, and Parks Departments with support from East Central WI Regional Planning Commission, Toole Design Group and re:TH!NK members. Over 175 residents helped provide input for the plan. The plan was completed in late 2016, approved in early 2017, and received a Planning Excellence Award from the American Planning Association – Wisconsin Chapter in fall 2017. A steering committee and a stakeholder team have been established to ensure implementation of the plan. The team recently created a biking and walking map for the southern and rural areas of the County. 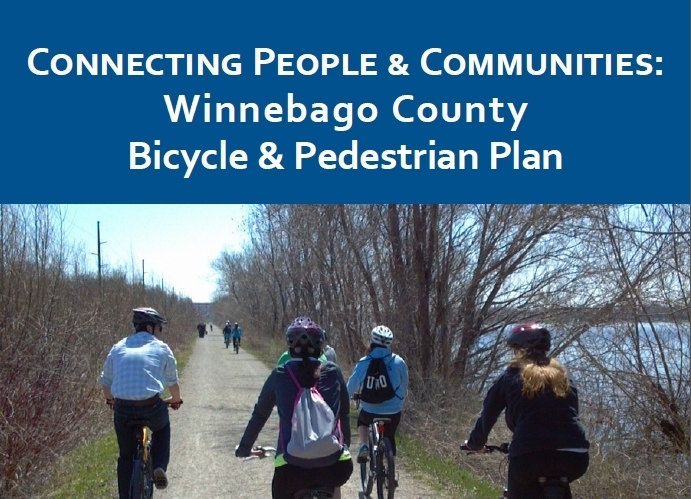 If you want more information about the plan or progress that has been made on the implementation, contact Emily Dieringer, County Bike/Ped Coordinator at edieringer @ co.winnebago.wi.us or 920-232-3021.